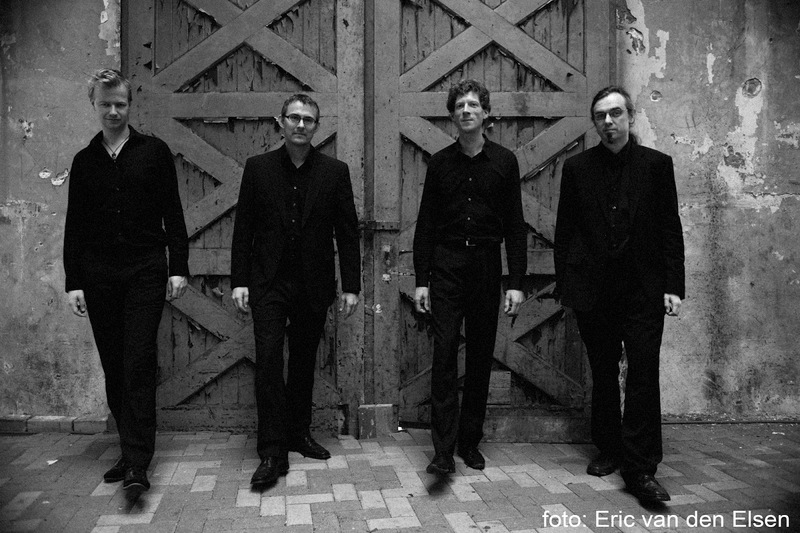 A calm, conservative and refreshingly contemporary approach has been take by Scandinavian quartet, Traeben. They posses a quality that is laid back in the European tradition but owe a lot of melody and harmonics to the traditions of West Coast jazz of the 50s and 60s. 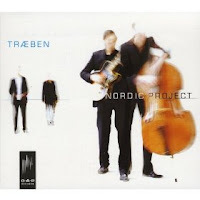 "Se Nu Stiger Solen" from the debut album, Nordic Project* (O.A.P. 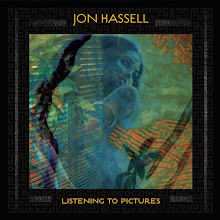 Records) is gorgeous and filled with folkish, melodic themes. While based on traditional Scandinavian tunes, you would never notice the breadth and dynamics of the musicianship. "Se Nu Stiger Solen" is cool and stoic in tone but with Ballegaard rich, angular notes. Larsen's passion-filled guitar makes the piece romantic and evocative. At times the instrumentation reminds of the recent work from John Abercrombie and John Surman. This is magnified by excellent heart thumping performances by Meijer and Grau who are significant to each piece, especially "Skyerne Grane" which has a great groove. That's the modern side of Traben's sound; the classic or traditional sound can be felt with romantic numbers like "Det Hvidt Herude" and Grimasch Om Morgonen" that have the subtle styling of a Stan Getz. Quiet, rhythmic and personal. 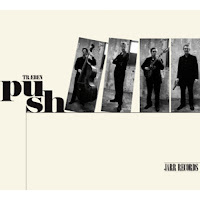 Traeben's recently released follow up, Push (Jarr Records) moves the group forward with bright ideas and an exciting new burst of energy. For Push, the quartet seamlessly adds a new drummer, Haye Jellema, who provides a little rougher edge but still paints the soft tone needed on most of the tunes. Push also features Laren and Ballegaard focusing on the group's own material. It is a stellar and more sophisticated set. The sizzling opening "Top Dog" has Ballegaard sounding like young Dexter Gordon. Theres a rolling stream of notes in the middle of the piece that Ballegaard rips through with ease. On "Can You?" Meijer and Ballegaard provide the lines that probably would be carried out by a pianist. But in their hands they give the tune a bit more passion, soul and purpose. Larsen and Ballegaard are a great combination. While Larsen sets the group on the path, Ballegaard seems to know exactly when the band should turn along this journey. "All It Needs" exemplifies this attitude with Larsen setting the pace. Lovely chords with an almost Spanish flavour. Jellema accompanies with a delicate combination of crashing symbols and soft brushes. "We'll Let You Know" is where Traeben breaks from form. This is a bit of a raucous tune in comparison to anything they've done before. While still maintaining that gentle modern form, every member approaches this with a sense of fun and intensity that almost resemble a rock outfit. It's calculating at times and then bold the next. Exquisitely put together--especially the blistering notes by Larsen at the bridge of the song. "Nothing Or Nothing At All" sees Ballegaard channel the past but infuses a real open mind of exploration for the modern European thinking. A set of staggering climbing notes which are mirrored by Larsen and handled with a steady rhthym from Meijer and Jellema. It's a fluid number with stellar dynamics at all four corners. Traeben may be Europe's top secret weapon. But with Push, the secret is out. This is a band which should have staying power. Both Nordic Project and Push have made the revolving slot in my CD player and yes my iPod. These are two records which have to be heard by jazz fans of every genre. Traeben are the real deal. A must listen.